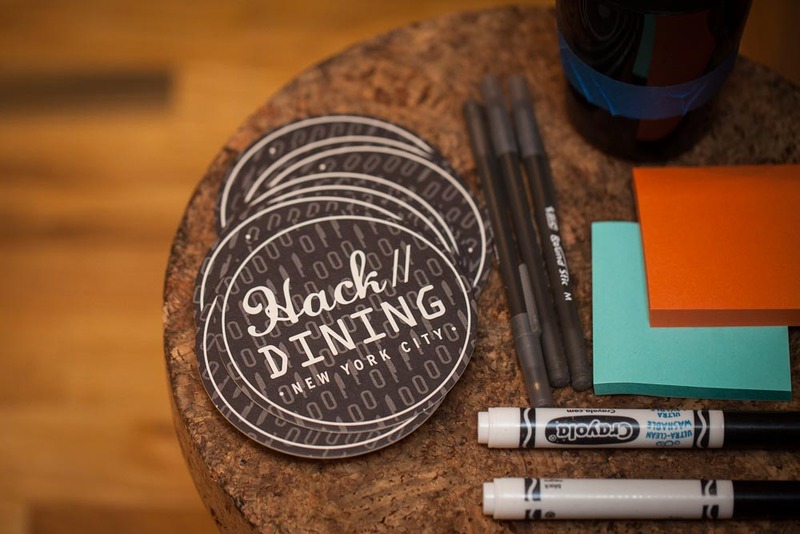 This past weekend, almost two hundred people from the worlds of food, tech and design joined forces at Hack//Dining NYC, a hackathon to develop hardware and software solutions to some of the greatest challenges facing the dining and foodservice industries. 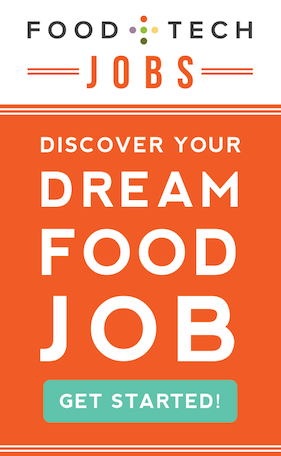 We produced the three-day event in collaboration with Applegate, Chipotle Mexican Grill, Batali & Bastianich Hospitality Group, Google and Studio Industries. And it was hosted by General Assembly East. 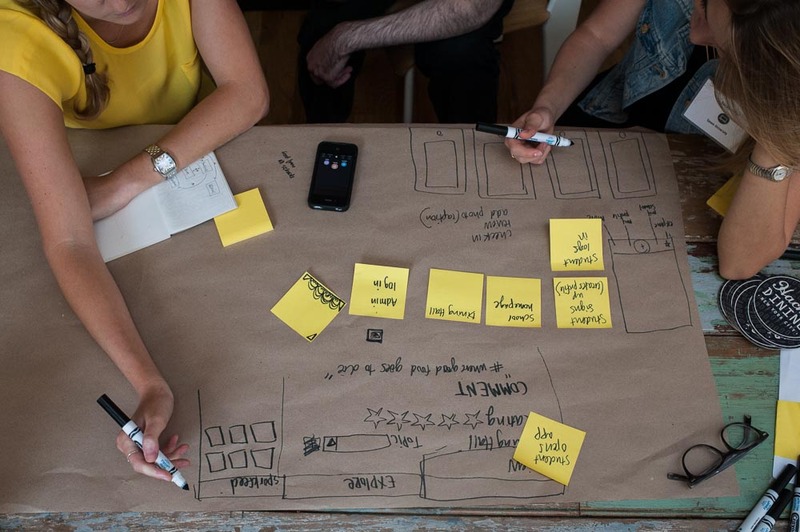 Incorporating design thinking into the typical hackathon environment allowed participants to dive more deeply into the challenges and innovate faster and smarter. Working in groups of one to five members, teams competed to advance to the final round of pitching, where 12 of the 24 teams presented their hacks to a panel of judges, including Dave Arnold, Richard Corraine, Wylie Dufresne, Esther Dyson, Victor Friedberg, Dorothy Cann Hamilton, Jessica Lawrence and Naveen Selvadurai. Following a quick-fire pitching session and intense follow up questions, the judges awarded the top honors to the following hacks. 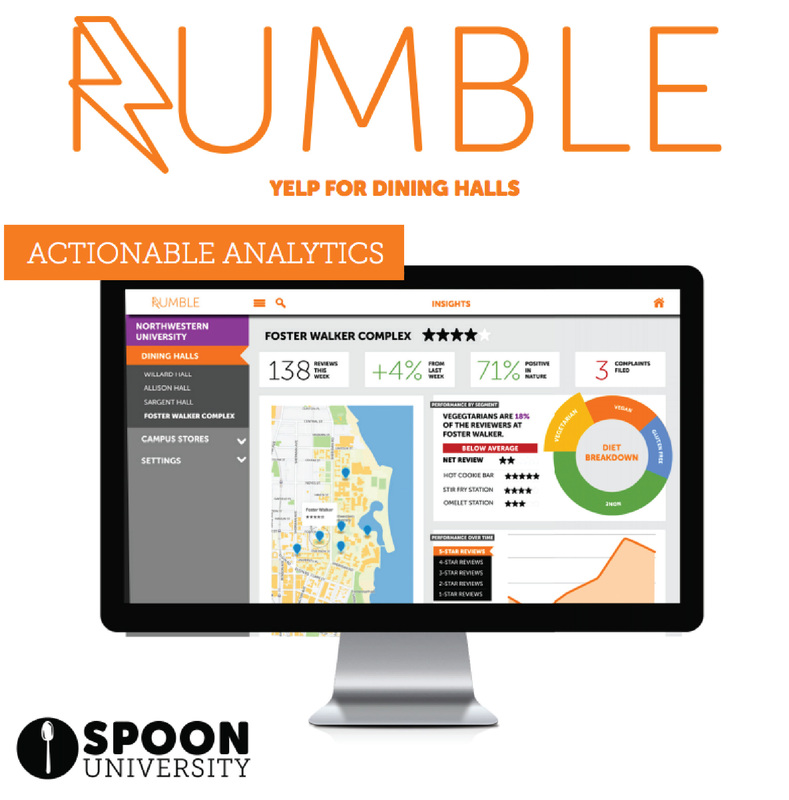 Rumble: Responding to the Applegate challenge, “How might we use technology to empower customers to better communicate their food preferences to foodservice establishments and suppliers?,” Rumble developed an online interface for university students to provide direct feedback on their dining hall offerings. Students can create profiles and rate their meals, while university dining facilities are able to improve their service through the accumulation of actionable consumer analytics. 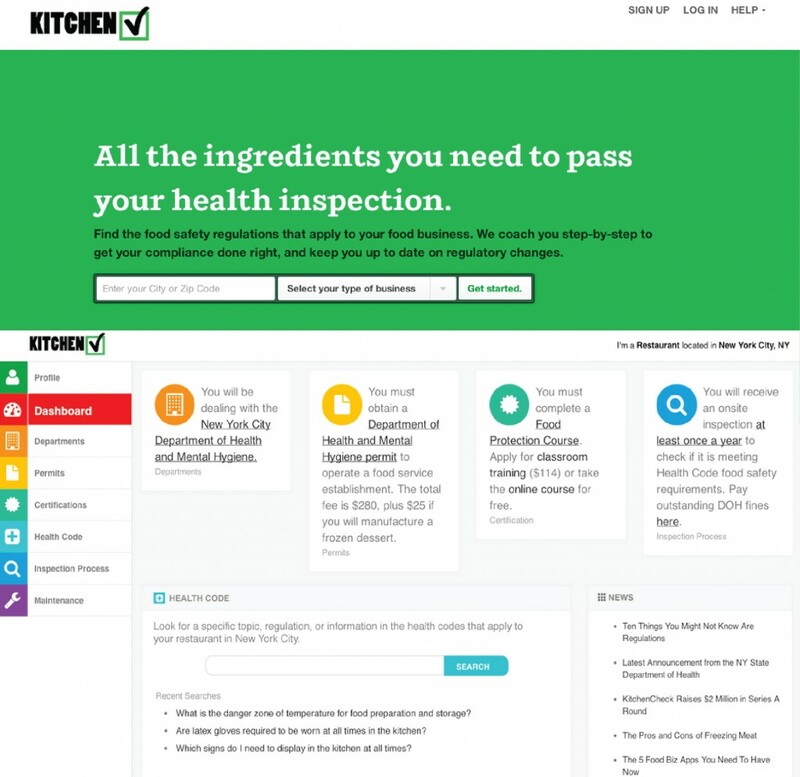 Kitchen Check: Responding to the Batali & Bastianich Hospitality Group challenge, “How might we use technology to make it easier for restaurants to comply with and maintain food safety regulations?,” Kitchen Check created a software program that they describe as the TurboTax(c) of food safety regulations. Using an interactive form generated at the county or city regulatory level, Kitchen Check generates a list of requirements for restaurants, food trucks, and other dining facilities to be in compliance with local, state, and federal laws. 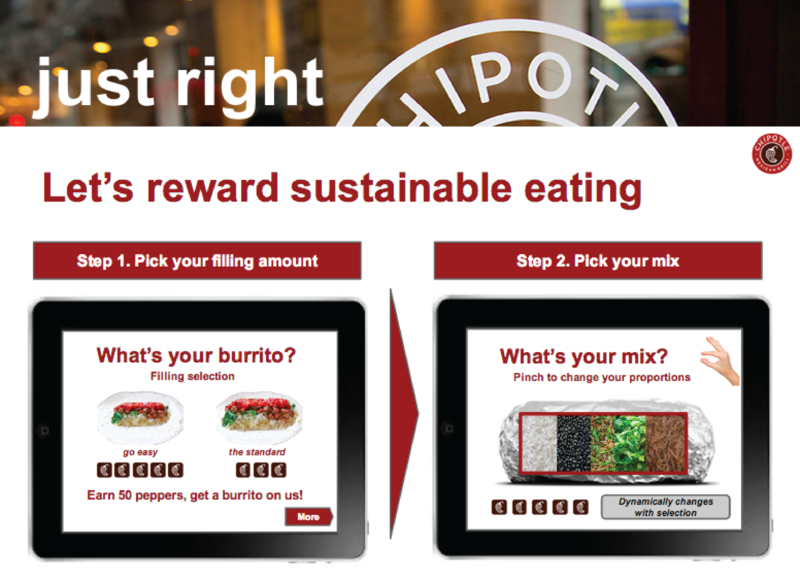 Just Right: Responding to the Chipotle challenge, “How might we use technology to help quick service restaurants (QSR) measure the environmental sustainability of how their stores are designed, built, and operated?,” Just Right created an app and rewards program that empowers the consumer to “right size” their burrito, salad, or rice bowl order and rewards them for making sustainable and healthy choices with points that can be redeemed for free Chipotle food. 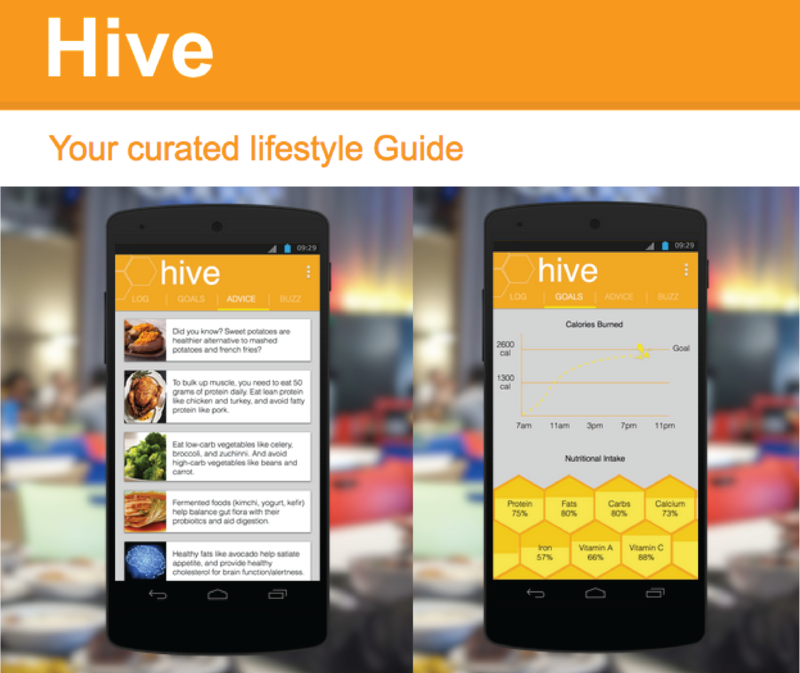 Hive: Responding to the Google challenge, “How might corporate foodservice use technology to help people make food and behavior choices that allow them to achieve their personal and professional lifestyle goals?,” Hive utilizes the world of smart and wearable technology to create an all-encompassing online personal trainer and nutritionist with a nutritional dashboard, digital weigh-ins, before and after selfies, and the option for employer reward systems to incentivize your success. All Hack//Dining NYC participants were able to access and build on the work of API partners including The Orange Chef Co’s PrepPad, Ingredient1, Jawbone, Fatsecret, Sensum.io by Klappo, Ordr.in, Leaf, 4f tech and Sourcery. In turn, competing teams were encouraged to open source their own hacks in order to continue advancing innovation in the food system.